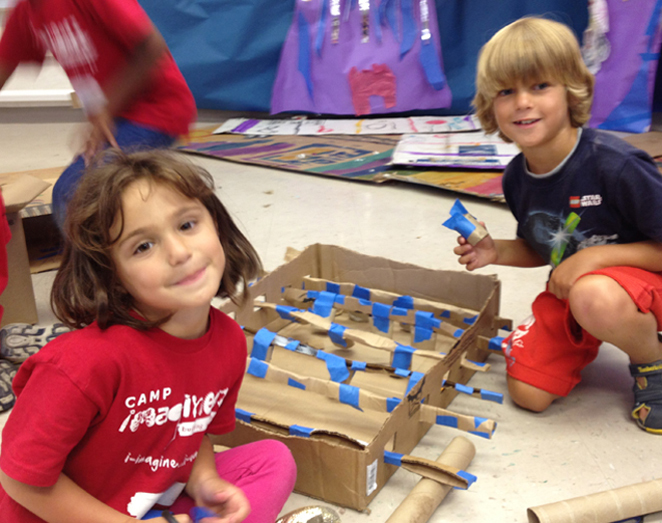 Through the making and design thinking, children learn to learn to think outside the box. Children who typically succeed in academic environments get to experience failure and learn to rebound. Conversely, children who struggle in traditional academic settings get a confidence boost and an opportunity to shine through the hands-on projects. According to a report by the Institute for the Future (IFTF), 85% of the jobs in 2030 haven’t been invented yet!! To be prepared, what our children are going to need more than knowledge itself, is the ability to acquire new knowledge, navigate uncertainties, and solve problems. That is what we provide through Imagineerz! Stanford professor Dr. Carol Dweck’s research provides compelling evidence that children with a Growth Mindset (those who believe they can increase their intelligence) do better at school. However, teaching children to “believe they can” does not work if they are not equipped to overcome the challenges in their path. At Imagineerz, we teach children specific language, strategies and tools to overcome challenges – and when they experience success, that leads to increased confidence and belief in their abilities. When the instructions are sparse, children will…need to think and get creative. Our environment is carefully designed to allow space for creativity and problem-solving. We do not give children specific step-by-step instructions. We give them a goal, access to a wide range of materials and tools, and let each camper decide what they want to build and how. We conduct workshops for adults on how to raise children with a growth mindset. Parents and teachers of past Imagineerz have loved the strategies, phrases and concepts the kids learn. Because it gives them the language needed to communicate with children about goals, failures, approach and attitude. Check out our Parent Lab! Our Director of programs, Megan, is an experienced and exemplary teacher who cares infinitely for every child she teaches. Also a Stanford Graduate, she has a Theatre Major and is fascinated by what motivates people to not just complete a task, but to be fully engaged and passionate about their work.